Wunderlich - complétez votre moto BMW / Promotions / Konzeptfahrzeuge / HP2 Sport "SpeedCruiser"
At the beginning, there was the idea of a purist driving machine – minimum weight, maximum performance. 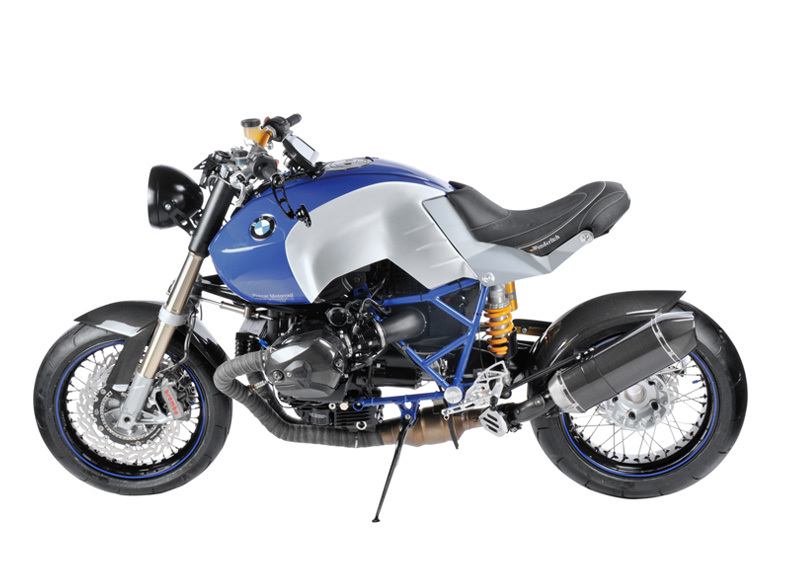 Out of this idea the R 1200 Speed Cruiser was born. 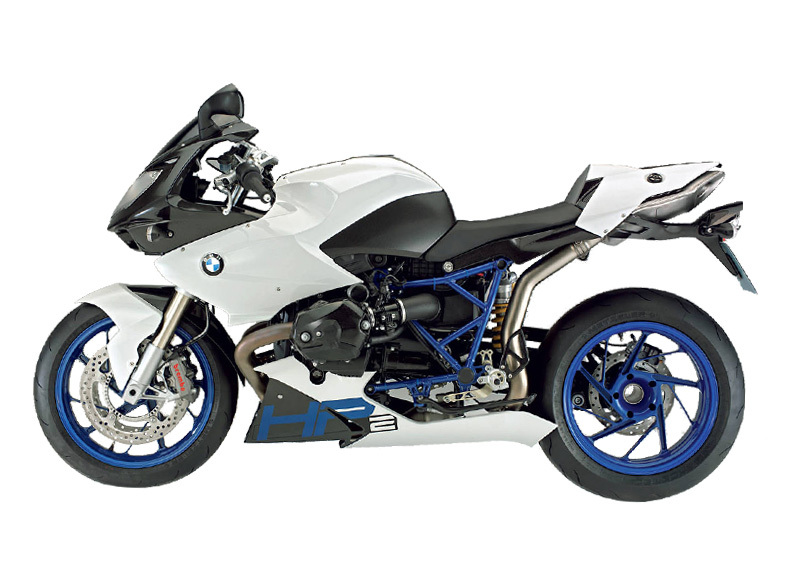 It is really impressive what the two competent partners, Procar Motorcycles Cologne and Wunderlich, the BMW – Specialist from Sinzig, have realised. In cooperation with the french designer Nicolas Petite a Speed Cruiser, which really deserves this name, was built. On the base of the HP 2 Sport, a dynamic driving and fun machine was created, which defines power development and exklusivity in an absoluty new way. The integration of the typical BMW telelever into the puristic design was the special challenge which the engineers gladly accepted. The designer was not even afraid of profound changes of the tank cover and the seat. The results of the complex changes of the rear and brake light functions and the clever placement of the electronic components are impressive and underline the sporty and exclusive appearance. The complete conversion kit requires no changes from the frame, chassis and engine. The conversion of a customer's bike will be performed after a complete offer of the Procar Specialists. Further options, like for example, the Performance Controller or the adjustable torque arm can be ordered separately. For further information please call +49 (0) 2642 9798-0 oder +49 (0) 221 915-499.